Feelin' Mo' Kenyan: Congratulations Paige! 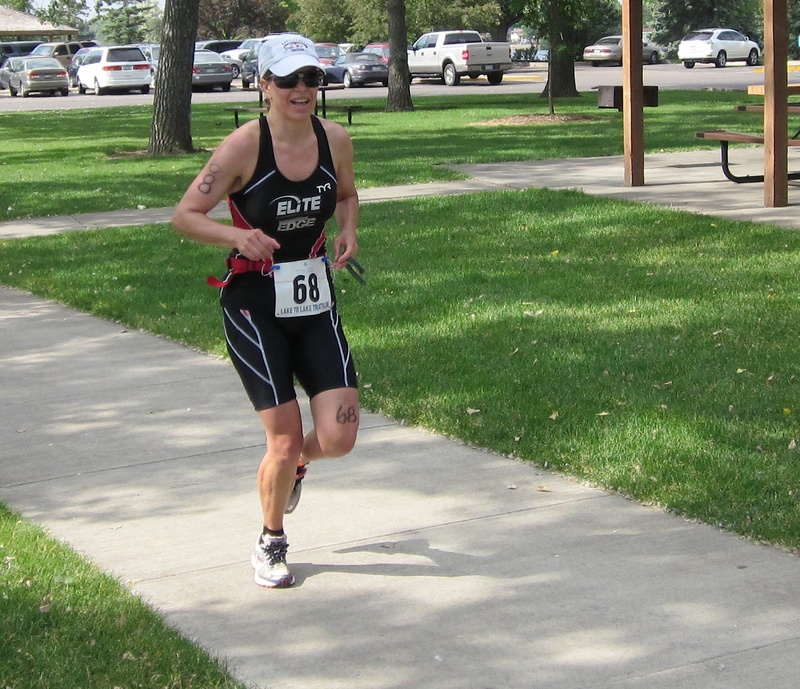 Today was the Loveland Lake to Lake Triathlon. Paige took 4th place in her division (out of 73 racers). That means she's headed to Nationals in Vermont this Fall! I'm so proud! She's been working so hard at it. It's nice to see it paying off so well for her and she really deserved the excellent finish! Luke and I got up around 6:30am. Well, he woke up and then woke me up saying, "Daddy. Let's get up now". He's a perfect alarm clock. We grabbed breakfast at the hotel, checked out and headed down to catch her coming in from the bike ride. 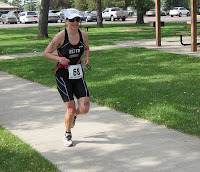 I knew she was having a good race because she arrived about 5-8 minutes before we both had calculated she would and she was all smiles running into the transition area. Then we ran over to cheer her on as she exited for the 10K run. I reset my watch and we headed over to the play area / swings where Luke made a bunch of new friends. Then just to be sure we went over about 15 minutes early to the run course at a point about 1/2 mile from the finish. Sure enough, she was a little early again and I only had seen a few women go past, so I knew she was at least in the top 10. And she looked really strong going past - and that's after just under 3 hours of racing! When we met up with her at the finish, they were into the awards, 4 places deep in each division. When the started reading the first place winner and it was from Littleton, I was a little hopeful, but when they read the fourth place as "From Littleton Colorado..." I pretty much knew it was her. A 1/2 second later we knew. It's cool to hear your wife's name over the loudspeaker at such a major event. And she's been all smiles all day. So congratulations to my babe for such a great race! Woohoo! !